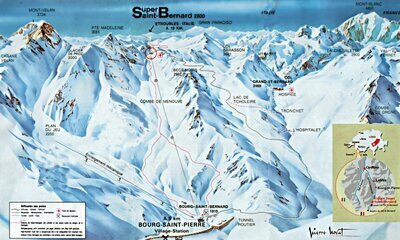 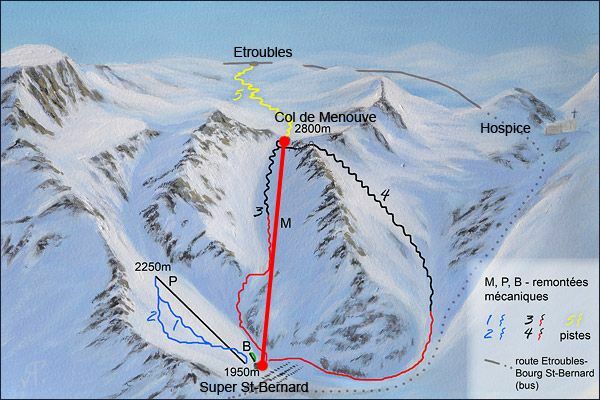 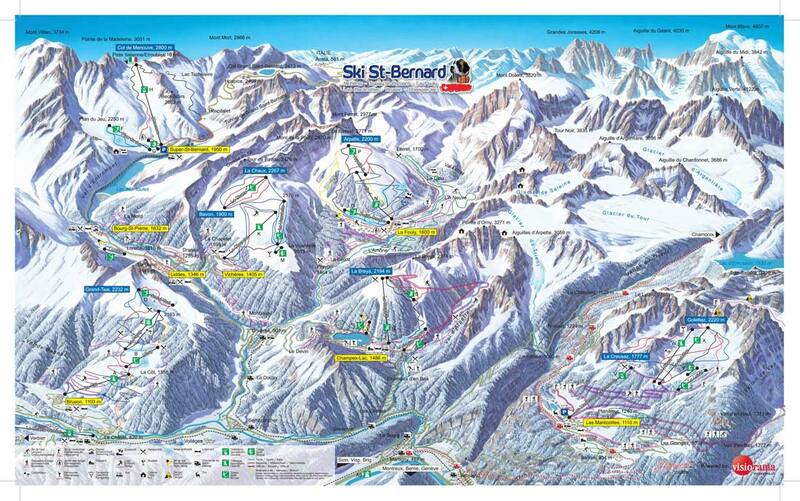 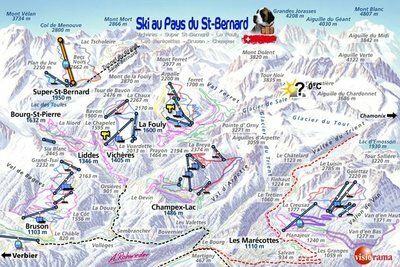 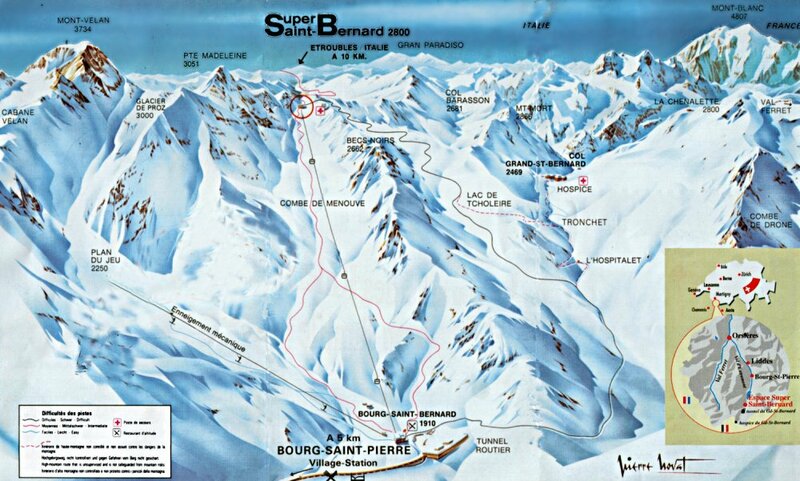 Piste map at time of closure. Map showing lifts (top left) at time of closure in 2009. Map of routes and lifts at time of closing.